This shot is from my archives, from back in 2008, a massive view of the Kennecott Copper mine from near salt lake city, utah. Following a massive April 2013, landslide that resulted in about 165 million tons of rock plummeting to the bottom of the Mine, this no longer looks the same. Here is how it looks after the land slides – Detailed Google Maps current view. Photos from when the slide actually happened – courtesy of KSL News. Luckily no one was injured, accounting to the continuous monitoring that has been set in place for this 107 year old mine. 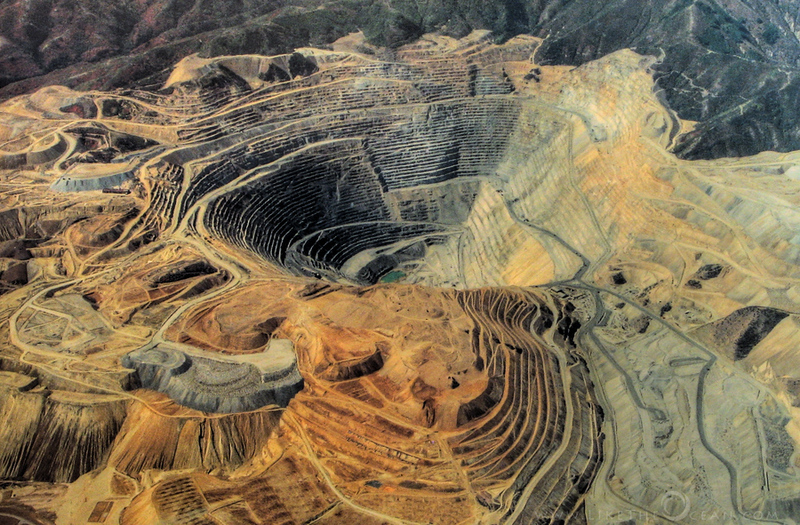 The mine is estimated to produces 25 percent of the copper used in the United States – and they recognized signs of increasing instability in the months before the slide, closing and removing a visitor center on the south edge of the 2.8-mile-wide, 3,182-foot-deep open pit. It is amazing to see how technology and continuous monitoring helped avoid a major mishap, but also resulted is so much of data that helped study the landslides later. This is probably one of the world’s largest man-made excavation.